Suitable for most false and acrylic nails as well as natural nails, Cutex Nail Polish Remover Acetone Free gently removes nail polish from nails without harm. 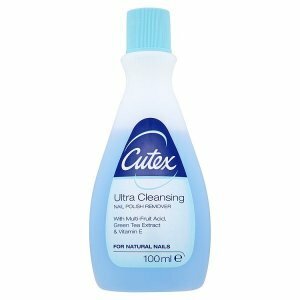 Cutex Nail Polish Remover Acetone Free is specially formulated to quickly and gently remove nail polish, top coats and base coats from nails without damaging the manicure. 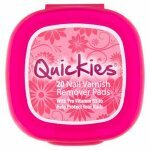 It is enriched with protein to restore both natural and artificial nails. No other brand works faster than or cares for your nails better than Cutex.